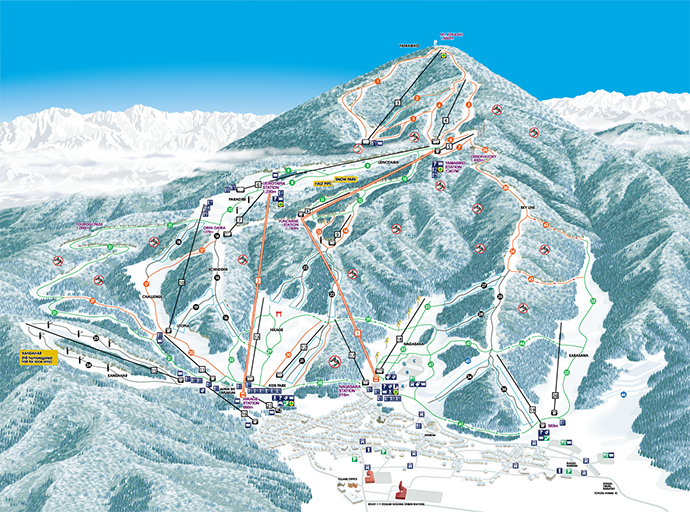 (2019/4 updated) Now we have special page for ski resorts with”Japow” in this region. 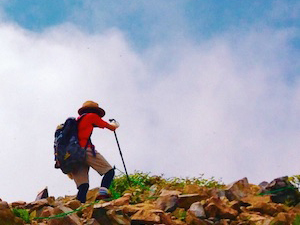 Nagano Prefecture is home to the majority of Japan’s highest mountain peaks and an abundance of snow. Just ask the locals, they’ll tell you the snow here is world class! 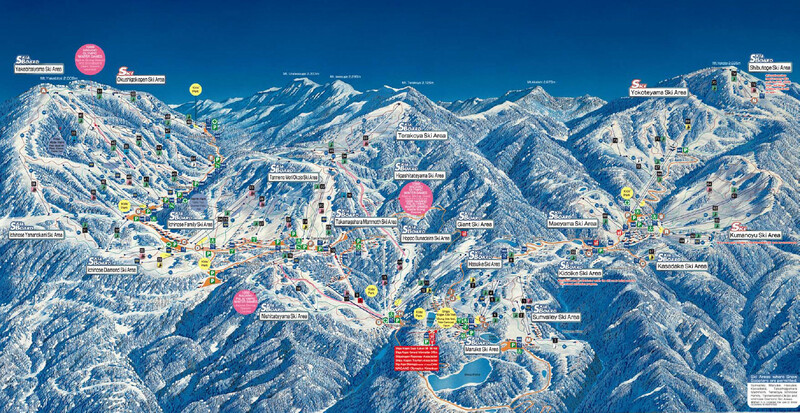 As host of the 1998 Winter Olympics, Nagano was on show to the world and since that time welcomes skiers and snowboarders each winter, from all over the globe, to its numerous ski resorts and deep drifts of powder snow. 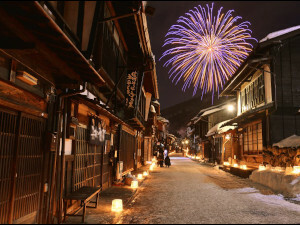 When planning a winter visit to Nagano you are spoiled for choice. Numerous resorts cater for all levels – from absolute beginners to the most advanced – each with their own unique atmosphere and individual appeal. You may well ask, which resort is right for me and how do I get there? For any visitor incorporating a trip to the snow monkey park with skiing or snowboarding in Nagano, the first thing we suggest that you do is look up! At an elevation of 850 meters, the monkey park is located at the base of Shiga Kogen (trails between 1340 to 2307 meters) – not only Japan’s largest ski area but the most extensive ski fields in Asia! Shiga Kogen is by far the easiest ski resort to access from the Snow Monkey Park, by either local bus, taxi, or private car. 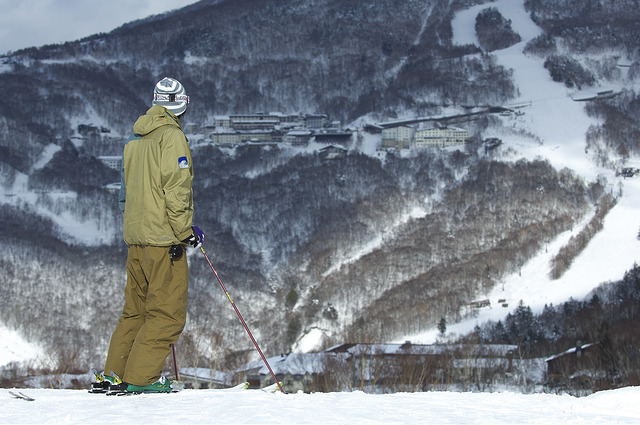 Comprised of 18 ski areas, interconnected by 51 chair lifts or gondolas and a shuttle bus service, Shiga Kogen offers visitors more than 80kms of trails to explore and challenge themselves on. Given the vast expanse of the ski fields, the time taken to access them from the monkey park depends on your means of transport and which ski area you want to start from. Sun Valley is the closest (approximately 30 minute drive) from the park, while Okushiga (60 minute drive) and Yokoteyama and Shibutouge (60 minute drive) are the furthest. 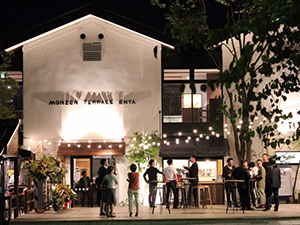 We recommend Shiga’s Central Area, Ichinose Village (approximately 40 minute drive), as a great place to base yourself and particularly suitable for families and beginners. 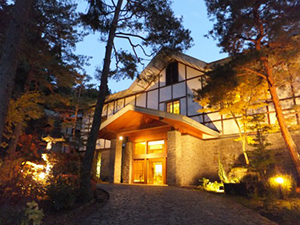 Ichinose offers a range of accommodation, restaurants, and ski/snowboard rental. 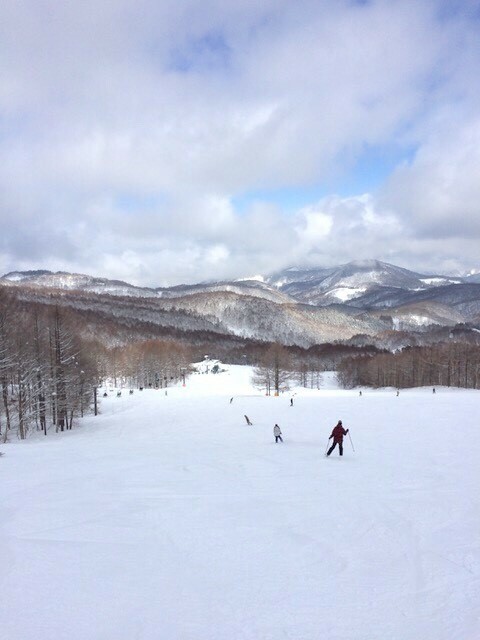 Shiga Kogen also offers ski and snowboard lessons in English and other languages through Shiga International Ski School. There is something for everyone at Shiga. 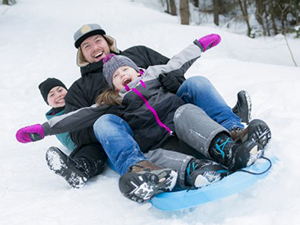 Those visiting snowfields for the first time will be thrilled by views and quality of snow that make your first days on skis and a snowboard enjoyable and fun, including family activity parks. For intermediate to advanced skiers and snowboarders, you are spoiled for choice, with varying terrain to challenge yourself on including Japan’s highest chair-lifted ski runs. The real attraction of Shiga is its size. Away from the central areas, you are likely to experience open runs with few other people (particularly on weekdays). The surroundings are beautiful, typified by the vistas from the higher runs and ‘snow giants’, snow-wrapped trees found at the highest peaks. Given Shiga Kogen’s size, we recommend a multi-day visit over which time you can explore its numerous trails and varying terrain. While Shiga Kogen’s popularity with international visitor is rising it remains most popular with Japanese and retains an authentic, if not somewhat retro feel. 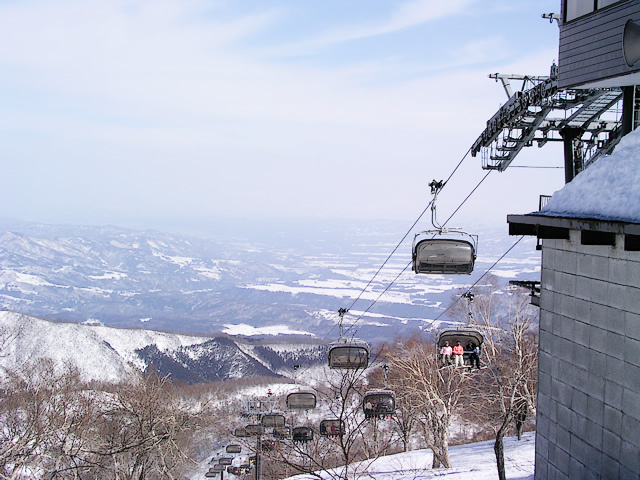 Shiga Kogen is the most easily accessible ski area from the monkey park and the most Japanese of the larger Nagano resorts. For those who want to focus on hitting the slopes with a huge variety of trails, we highly recommend it! Located to the north of the snow monkey park, Nozawa Onsen (trails between 565 to 1560 meters) is easily accessible and offers both skiers and snowboarders fantastic powder snow and excellent diversity of terrain with a lively village. From the monkey park, Nozawa Onsen can also be accessed by local bus, taxi, or private car (an approximately 45 to 60 minute drive depending on your means of transport and road conditions). While further from the snow monkey park than Shiga Kogen, it is definitely worth the visit! Known for its powder snow, abundance of trail options, and fun village atmosphere, Nozawa is well-established as a destination for international visitors with its popularity increasing year-by- year. 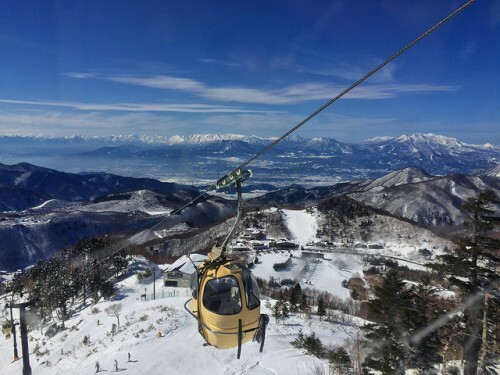 Nozawa Onsen offers skiers and snowboarders a range of ski areas – accessed from 3 different entrances – with courses suitable for all levels, comprising 45-50kms of trails serviced by 18 lifts and 2 gondolas. The mountain base area provides gentle slopes for first timers with 40% of the resort comprised of beginner trails. 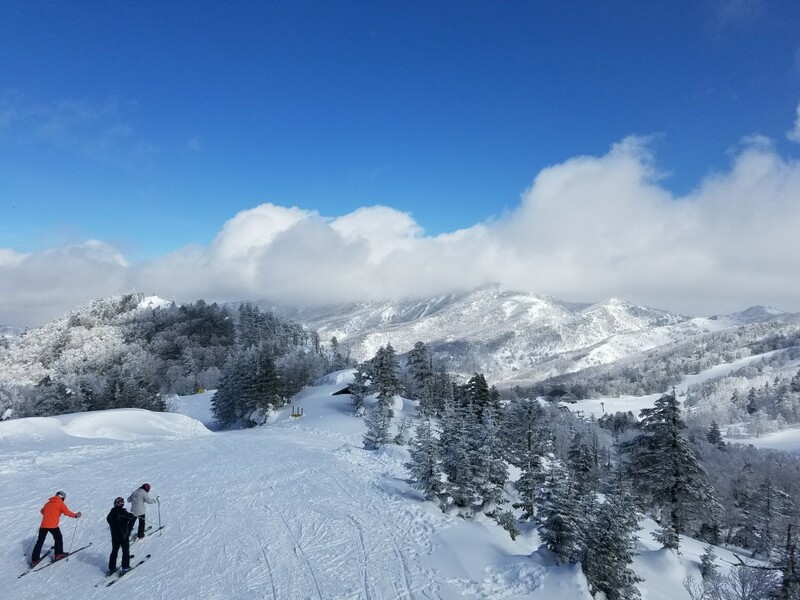 Intermediate and advanced skiers and snowboarders can cut their teeth on an array of more challenging trails (intermediate 30% and advanced 30% of the resort), powder areas, snow fun park, and half-pipe. 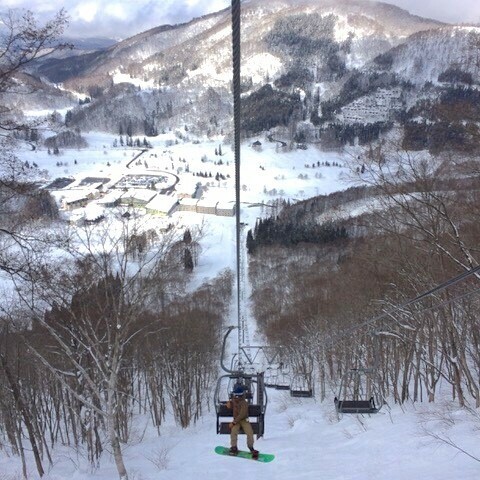 It should be noted that despite the terrific powder conditions at Nozawa going off-piste is officially banned. Reasons to visit Nozawa Onsen? While the powder and diversity of terrain at Nozawa will keep you smiling during the day, it’s the village that entertains you at night. Located at the base of the ski runs, Nozawa Onsen village retains much of its traditional charm while being well-catered for international visitors. There is an abundance of accommodation options – from hostels and hotels, traditional guesthouses, and private chalets – with numerous restaurants and bars to keep well fed and in good spirits. 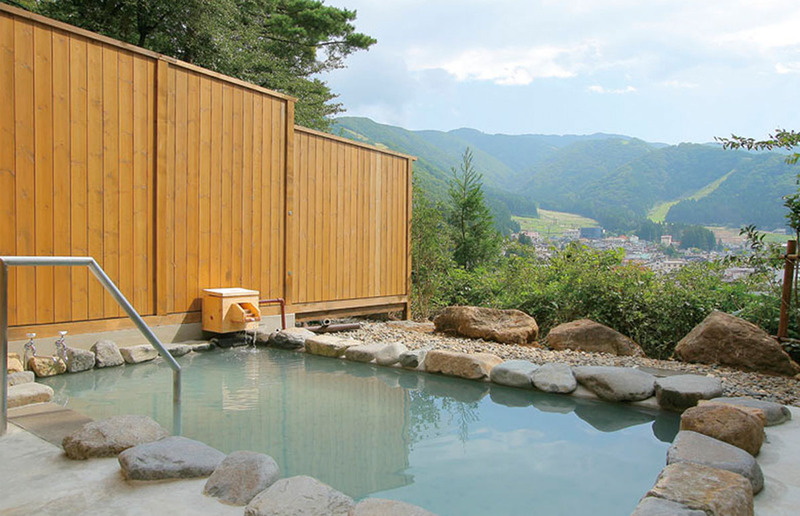 The village is lively but retains a family friendly atmosphere with touches of the traditional in the form of public onsens (natural hot springs) that are nothing but magic to soak in at the end of day on the mountain. Ski/snowboard rental is readily available along with backcountry tours. English-speaking ski/snowboard schools and even childcare and babysitting options are all available at Nozawa. 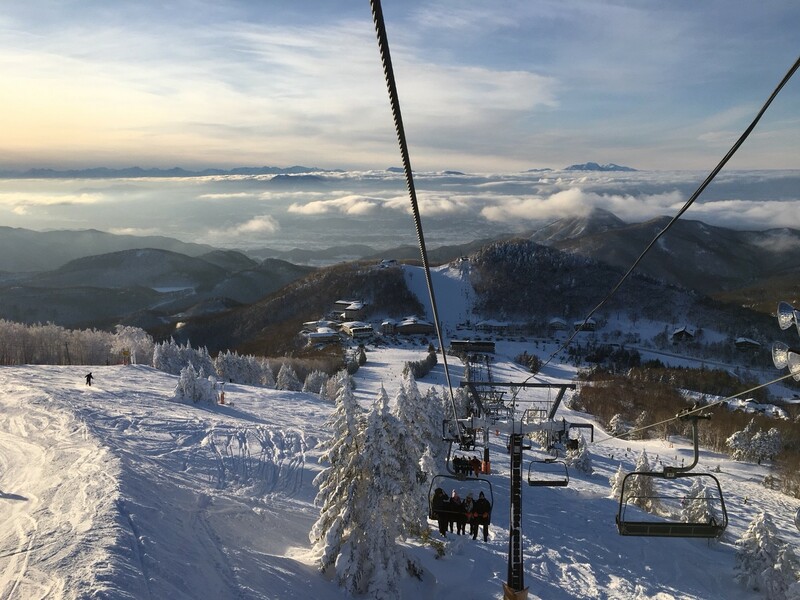 Nozawa Onsen is a great destination for those looking for great snow conditions and a range of terrain and trails to explore in a relatively compact resort and village that caters well for families and non-Japanese speakers. But be prepared. Its established popularity with international visitors means that the more traditional aspects of resort are increasingly diluted – to the point that you might at times forget that you are in Japan – and it is likely to be busy any day of the week. Plan ahead, as the better accommodation options can be fully booked well in advance of winter. But do so knowing that Nozawa Onsen is a resort that guarantees great snow, a fun atmosphere, and is well-catered for international visitors! Known locally as ‘Madapow!’, there’s no surprises when guessing what Madarao Mountain Resort (trails between 940 to 1382 meters) is known for – that’s right, powder! Of the three resorts profiled here, Madarao is the smallest with 35kms of terrain across 22 courses serviced by 16 lifts. But don’t let that fool you. 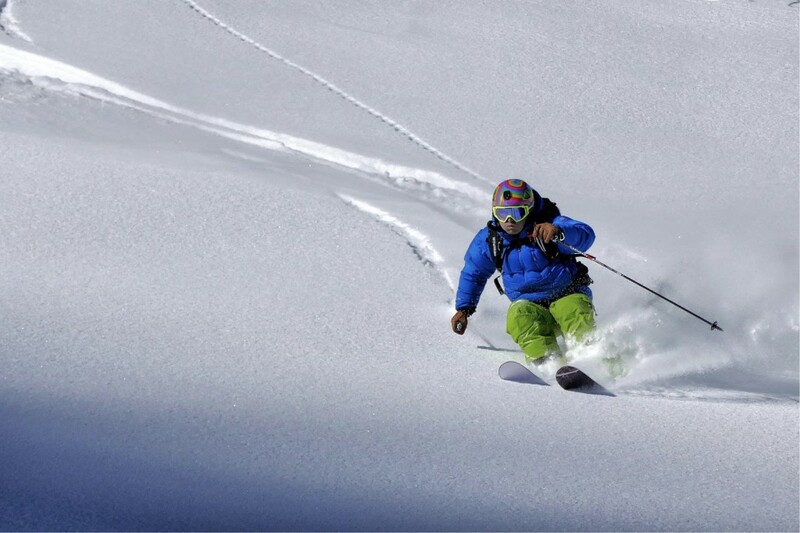 With up to 10 to 12 meters of snow each winter and 60% of slopes left ungroomed, this resort comes into its own with its deep powder and liberal approach to off-piste skiing and snowboarding. Unlike Nozawa, Madarao permits and even encourages off-piste and backcountry with gladed forested areas that open up beautiful tree runs. From the snow monkey park, Madarao is accessible by bus (via Iiyama Station), taxi, or private car. Transport by taxi or private car (approximately 45-45 minutes depending on the road conditions) are the easiest options with no direct buses servicing the snow monkey park from the ski resort. It is however possible and relatively easy to do so via Iiyama Station. Through winter, shuttle buses run between Madarao Mountain Resort and Iiyama Station, and additionally between Iiyama Station and the snow monkey park. While less convenient than taxi or private car, to do so is straightforward and can be arranged on the day. Reasons to visit Madarao Mountain Resort? While relatively small, Madarao Mountain Resort is a great option for those seeking the thrill of world class powder in a resort that actually wants you to dive right in! Visitors have the option of lift passes covering just Madarao or an all-mountain pass which permits access to the smaller (and distinctively named) Tangaram Ski Circus resort on the other side of the mountain. 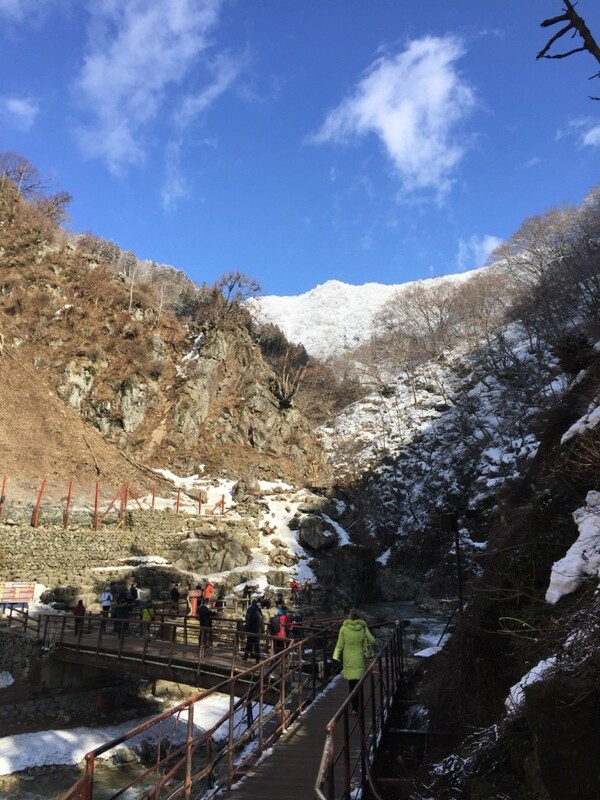 While even smaller than Madarao – Tangaram offers 15 trails serviced by 5 lifts – in combination with Madarao visitors can enjoy the estimated total of 35kms of trails at Madarao across 37 runs serviced by 21 lifts. Tangaram itself is unlikely to keep anyone but absolute beginners entertained for long, however we strongly encourage using the all-mountain pass as it will open-up even more off-piste adventure for you! Madarao Mountain Resort offers a range of accommodation options including guesthouses and private chalets, across a small but spaced-out village with limited but enjoyable dining and nightlife options. Ski/snowboard rental is easily arranged at Shirakaba Rentals and Action Snow Sports or Sports Academy offer English language lessons and even multiday powder courses! Childcare is also available making it another suitable destination for families. Given its proximity to Iiyama Station (serviced by the Hokuriku shinkansen line) and its world class powder, Madarao’s profile and popularity with international visitors is quickly rising. Yet it remains most popular with Japanese and being less developed than Nozawa Onsen, Madarao continues to retain its local and distinctly Japanese atmosphere. 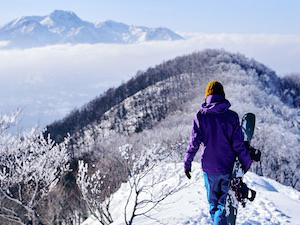 We regard Madarao Mountain Resort as a great option for intermediate to advanced skiers and snowboarders who want to get off-piste and into the trees, while still catering for beginners and families. The proximity of multiple ski resorts in small regions in northern Nagano has been attracting skiers/snowboarders from all over the world. In order to maximize your winter in Nagano, it’s best to try out various slopes at multiple ski resorts, rather than staying one resort. Having said this, accessing different ski resorts is often a pain in the neck, especially if you have big luggage. Snow Monkey Resorts offers a door-to-door charter service for your group while taking care of your luggage. Please check out this page for further information & quote indication if this service peaks your interest! 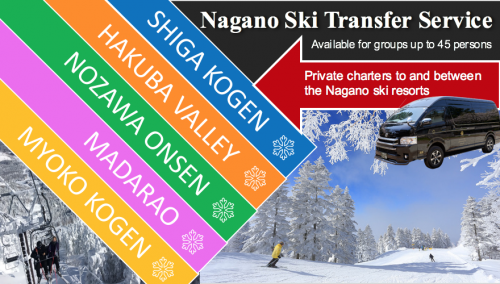 (2019/4 updated) Now we have special page for ski resorts in Nagano at here in this site.